The University of Indianapolis Department of Criminal Justice marks an important milestone during Homecoming Weekend. The University is celebrating the department’s 45th anniversary, making it one of the longest-running criminal justice programs in the state. An anniversary celebration will be held from 1:30 to 2:30 p.m. on Saturday, Sept. 30, 2017, at the President’s Home (4051 Otterbein Ave., Indianapolis, Ind. 46227). Register here for this event. Guests will learn about the future Criminal Justice Education Lab, which will provide a space for training simulations for UIndy students as well as city police departments and investigators. Students, faculty and alumni are invited to enjoy special crime lab activities with long-time faculty member Dennis Williams, new faculty member Bruce Biggs and University of Indianapolis President Emeritus Gene Sease. 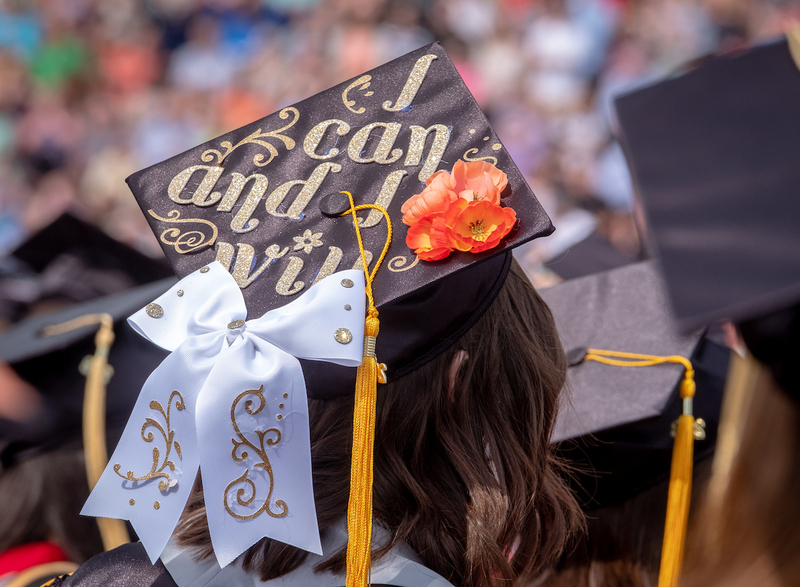 Demand is growing for criminal justice graduates, and the University of Indianapolis has responded with exciting new opportunities available within the major, said Kevin Whiteacre, associate professor and chair of the criminal justice program. The program has expanded to include the loss prevention and cyber security tracks, added in 2015. A crime scene investigation (CSI) track will be offered in fall 2018. The University of Indianapolis was the first university in the state to develop a partnership with the Indiana Law Enforcement Agency (ILEA), which led to UIndy’s badge and bachelor’s program in 1996. UIndy criminal justice graduates are qualified to be hired as police officers, provided they complete training at the Indiana Law Enforcement Academy. Since 1997, the University in partnership with ILEA has graduated 70 students. UIndy criminal justice majors who are pursuing a concentration in law enforcement can attend the ILEA their senior year. Whiteacre points out the distinct advantage this opportunity provides for graduates. “Law enforcement agencies don’t have to pay for candidates who graduate from UIndy’s criminal justice program to attend the Academy, because they have already completed their training – so they’re more likely to get the job,” Whiteacre said. New tracks including loss prevention offer numerous career choices for graduates. Logan Britton ’17, was one of the University’s first criminal justice graduates with a concentration in loss prevention. Britton credits the University’s Professional Edge Center and Whiteacre’s networking efforts in assisting his job search, which led to his current position at an Indiana-area Macy’s store as a loss prevention detective. “I’ve talked to many other criminal justice students from different schools and no other school will help you get the experience and know-how you need to get a good job in your career path,” Britton said. The criminal justice program takes an interdisciplinary perspective to offer students a broad range of skills. Students enrolled in the loss prevention track also take a business analytics class. The cyber security track includes coding classes taught by computer science faculty. Partnerships and collaboration with accrediting agencies are an important aspect of the program, Whiteacre said. The loss prevention track, developed in partnership with the National Loss Prevention Foundation, includes Loss Prevention Qualified accreditation (LPQ) as part of the curriculum. 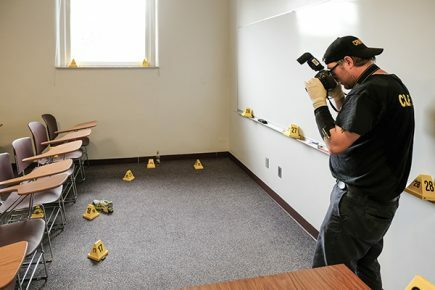 The new CSI track, developed in consultation with IMCFSA, ensures graduates will meet Indianapolis-Marion County Forensic Services Agency’s accreditation requirements for hiring crime scene techs. “Our course offerings provide our students with the credentials for their accreditation needs. We are always reaching out and collaborating with external partners in the field to develop the program,” Whiteacre said.